"North Texans for 9/11 Truth" at the "Resist Tyranny Expo"
The “North Texans for 9/11 Truth” Group had the opportunity to participate in the Dallas area RESIST TYRANNY EXPO giving away DVDs and literature to the hundreds who turned out at the all day event held on Saturday, April 13th, 2013. Following the ceremonies, Joe and Hank passed out at least 100 packets to people exiting the event and gathering for refreshments. 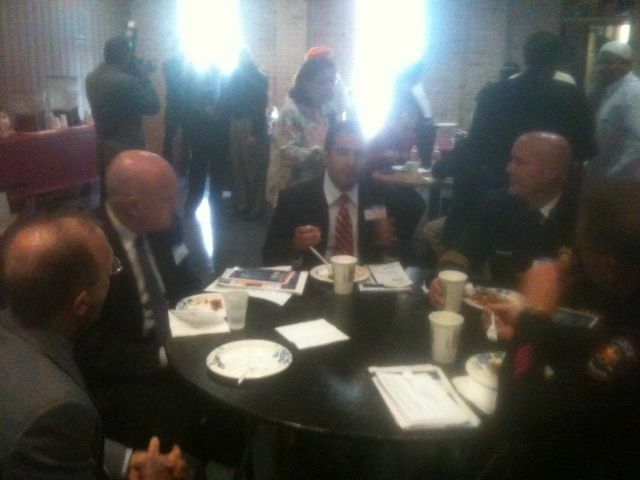 Muslims, Rabbis, Christians, Marines, police, Mayors, businessmen, and reporters were among the crowd, and all were very receptive to the materials. A fair number of people already knew about the 9/11 Cover-up. As an example: Three Muslim girls who were students rushed over to thank Joe and Hank for what they were doing. Bryan Black peacefully left this world on Tuesday, February 21, 2012. He was in his early 50’s, but had a coronary condition. 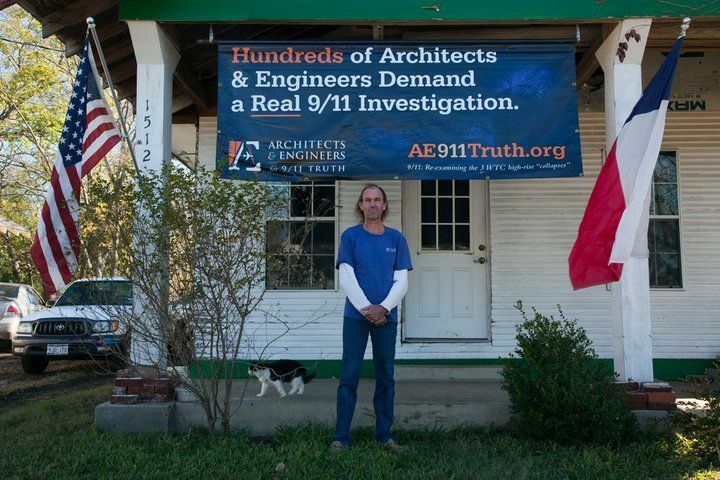 Bryan Black has been a much loved and admired member of the 9/11 Truth Community. Exclusive: Personal Statement from Kurt Haskell, Delta 253 Passenger. Oct 13 Lori Haskell: "Trial and The Verdict"
Trial for the Underwear Bomber started this week, on Tuesday (Oct 11). Since neither Kurt or I had been contacted about being witnesses or being sequestered from the courtroom, we decided to head down to the trial in the hopes of being able to observe. Seats were reserved for all victims, and we really wanted to be there as much as possible. When going through security on the first floor of the court, we ran into someone who works for Anthony Chambers, who told us a pre-trial Motion had been filed that morning to exclude Kurt and I from being in the courtroom for the trial as we may be potential witnesses. We decided to head up and see what happened anyway, since the Motion was not ExParte and had not yet been granted. In a shocking development in the trial of the accused underwear bomber Umar Farouk Abdulmutallab, Delta Flight 253 eyewitness Kurt Haskell has been called by Abdulmutallab as a witness for the defense, a move that could blow the whole case wide open. Sometimes, even 9/11 Truthers are duped by the media's deceptions. 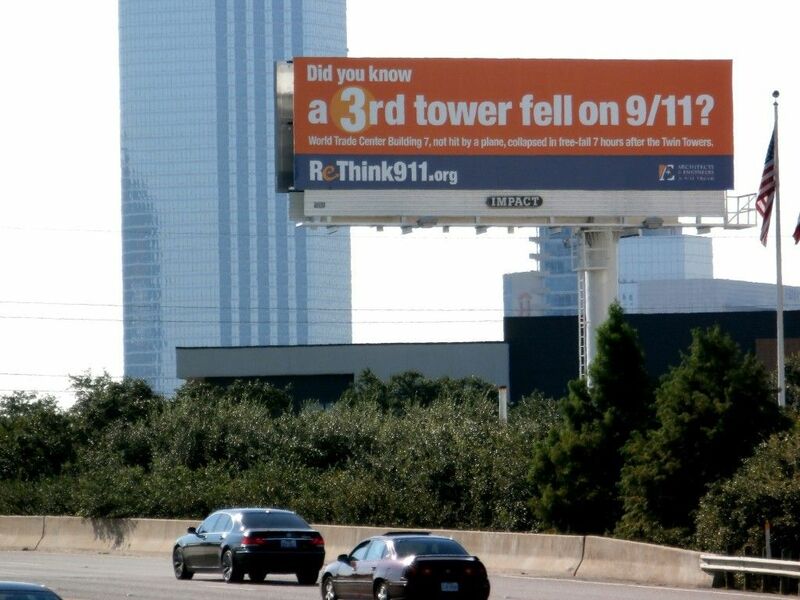 They do not realize how large our 9/11 Truth Movement has grown in recent years. A tremendous number of people are aware of 9/11 Truth. A tremendous number. This fact is not reported by the media. 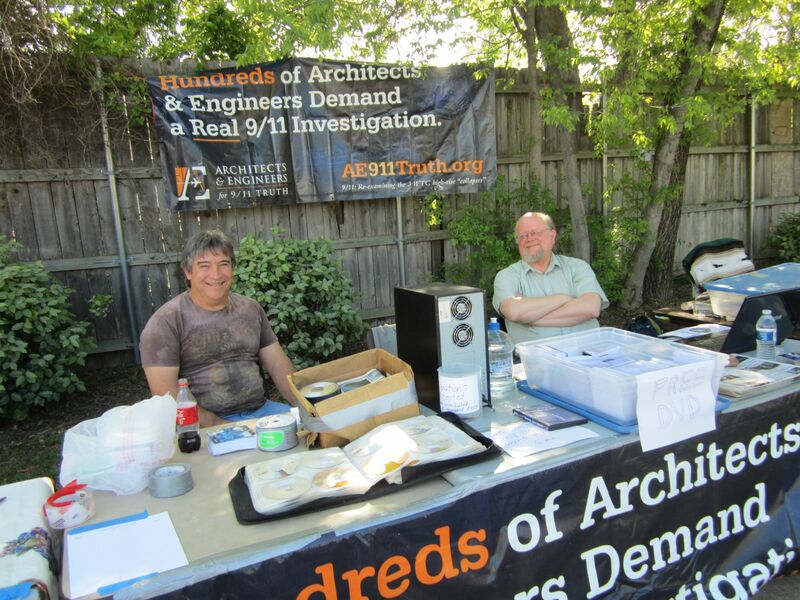 The crowds at "Occupy Dallas" are proof to the growing number of people who are aware of 9/11 Truth. 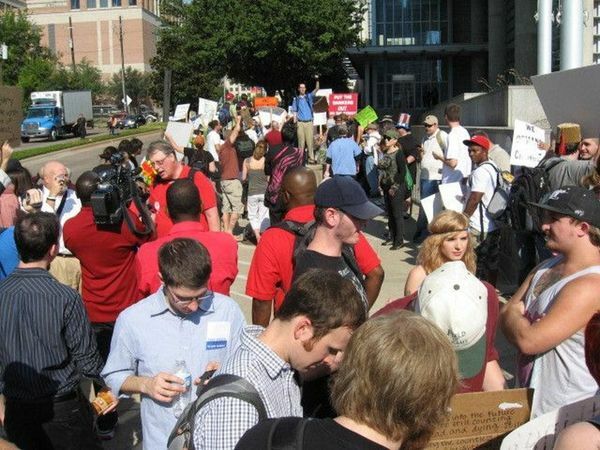 Despite what the media reported, at its peak there were more than 1,000 people who showed up for "Occupy Dallas" on Thursday October 6th. At around 11:20am, I repeatedly drove up and down the streets and had an opportunity to assess the size of the crowd as it was marching near and then finally to the noon destination of The Federal Reserve. Both sides of a very long city block were packed with people marching, and on the fringe areas many, many protesters were coming and going, or taking a drink/restroom break. Before joining the crowd, I drove slowly by the crowds of protesters with a "9/11 Truth" sign in my car's side window. Even I was surprised as the segments in the lines of people repeatedly cheered and rallied for 9/11 Truth. 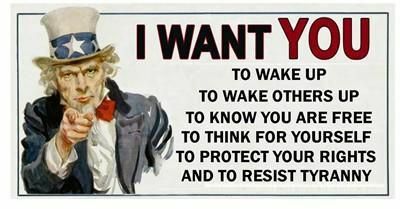 All along the line of protesters, I repeatedly heard: "9/11 Truth!! Yea!!!" with people whooping cheers in support of 9/11 Truth. The impression was that the entire crowd of protesters was almost unanimous in support of 9/11 Truth. While I am sure that not everyone in the crowd was aware of 9/11 Truth, the image of the full group support will probably prompt many to do their homework. Kurt Haskell: "Underwear Bomber Jury Selection Hearing October 4, 2011"
1. Do you think after listening to the evidence that you will be able to determine whether the Defendant actually possessed a "bomb"?